According to study, “Global Rubber Process Oil Market Size study, by Type (Treated Distillate Aromatic Extracted, Distillate Aromatic Extract, Mild Extracted Solvate, Residual Aromatic Extract & Treated Residual Aromatic Extract, Paraffinic, Naphthenic) and Regional Forecasts 2018-2025” some of the major companies that are currently working in the global rubber process oil market are Nynas AB, Behran Oil Company, Panama Petrochem Ltd., Apar Industries Ltd., Gandhar Oil Refinery Ltd., Hollyfrontier Refining & Marketing LLC, Hindustan Petroleum Corporation Limited (HPCL), Unipetrol group, HPCL, Repsol S.A., Total S.A.,Lukoil, Unipetrol Group, Indian Oil Corporation Limited, Idemitsu Kosan Co., Ltd., Orgkhim Biochemical Holding, CPC Corporation, Southwestern Petroleum Corporation, Vintrol Lubes Pvt. Ltd., Shell International B.V., Calumet Specialty Products Partners L.P., Petro China Company Limited, Cross Oil Refining & Marketing, Inc., Eagle Petrochem, Wellbank Global Pte Ltd., Iranol, Lodha Petro, DLS Group, Royal Dutch Shell, Witmans Industries Pvt. Ltd., WBF Pte Ltd., Cross Oil & Refining Co Inc., H&R International GmbH, Exxon Mobil Corporation, Raj Petro Specialities P. Ltd., Gandhar Oil, Gold Oil Corporation, Green Planet Group, Petro Gulf FZC, Sterlite Lubricants Pvt. Ltd.,San Joaquin Refining Co. Inc., SahPetroleums Ltd., Karamay, JX Nippon, DC Group FZE, Novo Tech FZE, Ergon North & South America, Gulf Petroleum Ltd.
Rubber process oil is formed by crude oil refining process obtained from the composition & chemical interactions and isolation material removed called Raffinate. The rubber processed oil is used across many industries for manufacturing of rubber compounds of both natural and the synthetic type. It improves the scattering of fillers & flow distinctiveness of the compounds. It also improves the physical properties of vulcanization by decreasing the cost of end products or goods of rubber compounds. The rubber process offers wide range of benefits such as low volatility, low solubility properties, low staining, recovering the dispersion of fillers and flow of distinctiveness of the compound and elastomer compatibility. Based on the type, the rubber process oil market is segmented into distillate aromatic extract (DAE), treated distillate aromatic extract (TDAE), residual aromatic extract (RAE) & treated residual aromatic extract (TRAE), paraffinic rubber process oil, mild extracted solvate (MES) rubber process oil and naphthenic rubber process oil. TDAE defines many advantages like good abrasion resistance, save fuel & energy consumption, good resistance to reversion and good low temperature flexibility etc. Based on the application market is segmented into rubber processing, polymer, adhesives & sealants, paints & coatings, consumer products or goods and pharmaceuticals etc. The market of rubber process is driven by the growing demand for low viscosity oils (for use in vehicles), growing use of solution Styrene-Butadiene Rubber (S-SBR) in tires of automobiles and increasing demand & consumption of rubber process oils etc. Furthermore, some of the restraints to impacted the prices of crude oil followed by the increased use of soybean oil (in tire manufacturing). 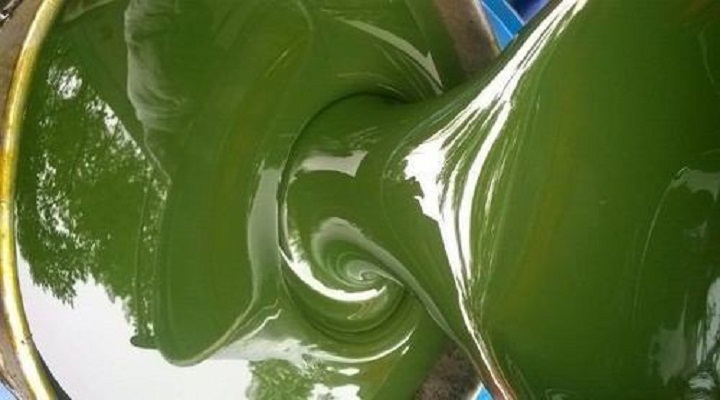 In addition, the increasing demand of green rubber process adding to the major opportunity for the market. Asia-pacific holds the major market share due to an augmented automobile sale which further enhanced the consumption of rubber process oil. In future, it is expected that the global rubber process oil market to grow at fast pace due to rising tyre manufacturing industry.